Properties in Polk County average 4.9 out of 5 stars. Relaxing and Private Family Retreat on Balsam Lake. 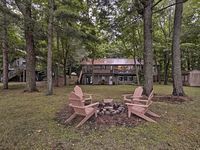 Property 1: Relaxing and Private Family Retreat on Balsam Lake. A cute little lake cabin near Turtle Lake, WI. Get away from it all! Property 4: A cute little lake cabin near Turtle Lake, WI. Get away from it all! Gorgeous Newer 'Up at the Lake' home with modern features! Great Value!!!! Property 5: Gorgeous Newer 'Up at the Lake' home with modern features! Great Value!!!! Balsam Lakefront Home w/ Private Dock & Kayaks! Property 9: Balsam Lakefront Home w/ Private Dock & Kayaks! Northwoods Upscale Rustic 4 Bdrm Lakefront on Bone Lake-June 26th-29th OPEN! Property 11: Northwoods Upscale Rustic 4 Bdrm Lakefront on Bone Lake-June 26th-29th OPEN! Executive retreat nestled in the trees of pristine North Pipe Lake. Property 12: Executive retreat nestled in the trees of pristine North Pipe Lake. Cabin on Blake "Too"- Gorgeous, lakefront, private, modern cabin! Property 13: Cabin on Blake "Too"- Gorgeous, lakefront, private, modern cabin! PERFECT & AFFORDABLE FAMILY REUNION PARADISE! Property 14: PERFECT & AFFORDABLE FAMILY REUNION PARADISE! Amazing Location, Great Fishing Sunfish, Crappies, Pike, Muskie! Property 15: Amazing Location, Great Fishing Sunfish, Crappies, Pike, Muskie! It's the perfect lake cabin. Property 16: It's the perfect lake cabin. 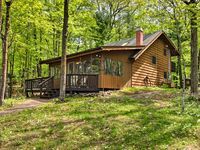 Beautiful updated 3 bedroom lake cabin - welcome to loon lodge! Property 21: Beautiful updated 3 bedroom lake cabin - welcome to loon lodge! Life is better at The Wapo Lodge on Lake Wapogasset! Property 22: Life is better at The Wapo Lodge on Lake Wapogasset! Remodeled Cabin on Bone Lake by Snowmobile Trails! Property 24: Remodeled Cabin on Bone Lake by Snowmobile Trails! Exceptional, Architect designed, Pipe Lake Cabin, clean, lovely lake. Property 26: Exceptional, Architect designed, Pipe Lake Cabin, clean, lovely lake. Incredibly charming Log Cabin on the water! Property 30: Incredibly charming Log Cabin on the water! We needed ease and a fireplace and found it here! Really could not have been better. Not looking forward to returning home to a dirty house after being in this pristine home for a few days! I will definitely book again- and part of the reason is that the owners are so accommodating and thoughtful. Thank you! Wonderful cabin! A lot of issues with the toilets.